Showcase the lengths Trader Joe's goes for its customers. The line up for TJ is always changing. You never know what you’re going to find. Italian this week & Indian the next. They actually send people to hunt for foods in other countries. The top 5 chosen people are each sent to take a tour across a different continent to find the next food item. 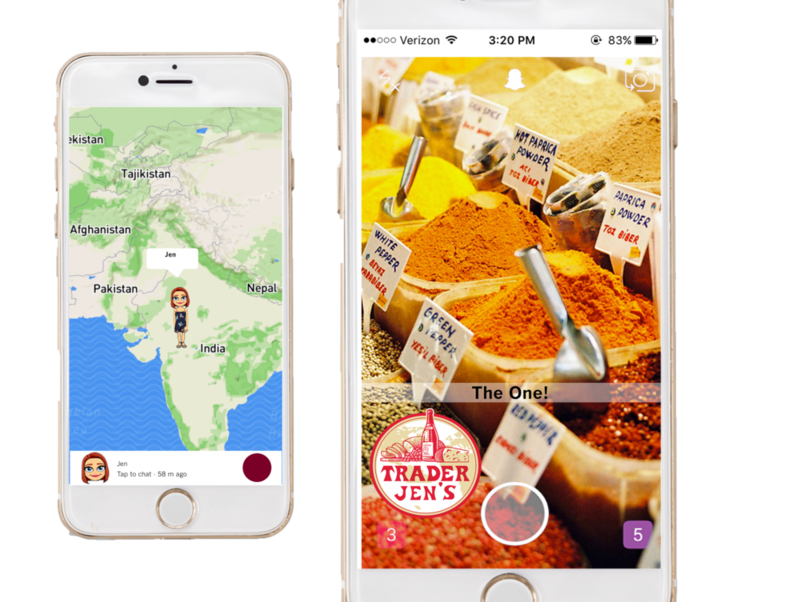 They document their journey using Snapchat Map & Stories. Also each individual is given a "Trader" Instagram account to document their journey & engage with fellow Trader Joe's supporters. When the trip ends, their item is put in the region of America they came from and then if it sells well, it goes wide. Each sponsored Trader will have their own themed bags. Copy: "In the Punjab region of India, I stumbled upon a food stand in the bazaar. The rich aromas wafted over me and carried me to Manjit's Kitchen like a cartoon pie on a window sill. Manjit is a man with one simple goal. To make the best Masala possible. Manjit my new friend, you have succeeded." An excerpt from each Trader's story will be put on the packaging. 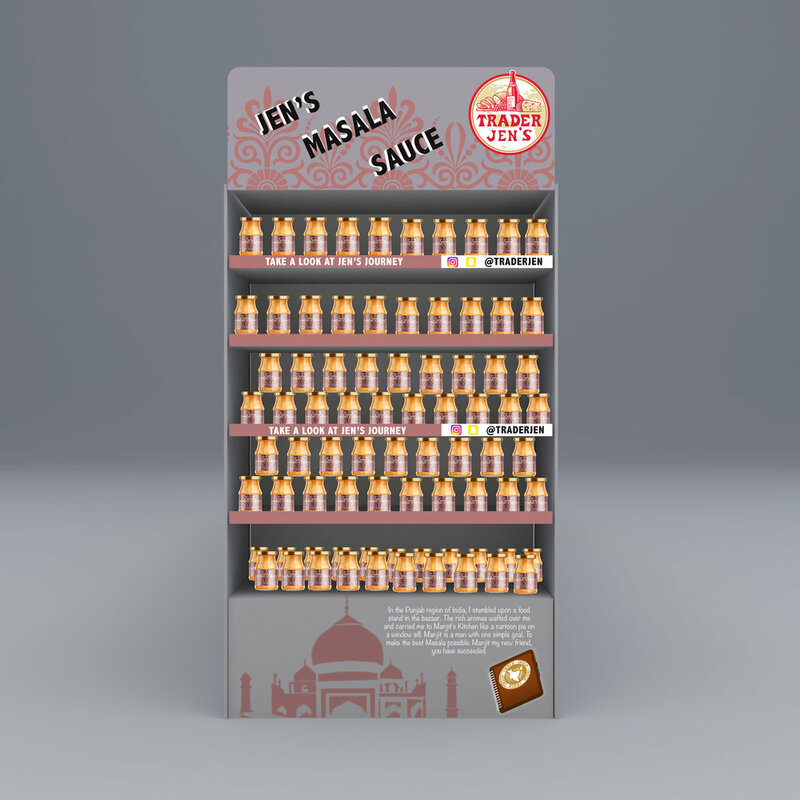 While the exact origins of tikka masala are a hotly debated topic, Trader Jen is here to tell you where they perfected it. In the Punjab region of India, I stumbled upon a food stand in the bazaar. The rich aromas wafted over me and carried me to Manjit's Kitchen like a cartoon pie on a window sill. Manjit is a man with one simple goal. To make the best Masala possible. Manjit my new friend, you have succeeded.